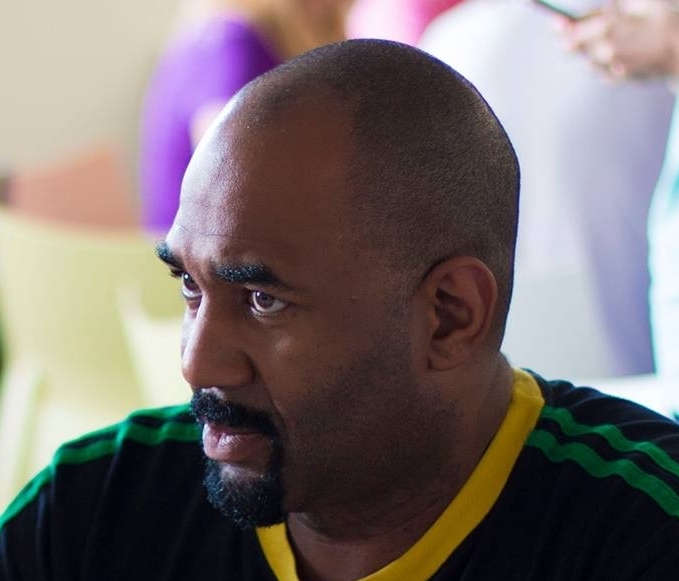 Keith Bradley, Tech and Entrepreneurship Ecosystem Specialist, is an American living and working in Šibenik for more than two years. He used to lead an incubator in Chicago, then he got to Šibenik to help with start-ups and ecosystem. 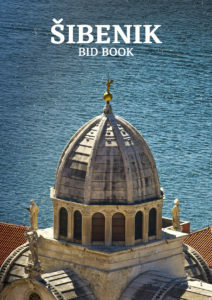 Croatian City of Šibenik has been rising to entrepreneuring fame also with his help. Urban Centre and Urban Incubator are the main spots for new entrepreneurs. Not to mention an announced project of Trokut (Triangle) that will bring Šibenik to a completely new era. It could not be a better time than now to talk about Šibenik’s present and future incubation and start-up scene. Keith Bradley, the believer in people and their ideas, whose optimism and laughs are infectious, also talked about his personal experience of Šibenik and its food, coffee, restaurants, etc. Q: What brought you to Šibenik in the first place? There is this program WorldChicago Professional Fellows Program, a US State Department funded program, that brings in the Spring and in the Fall 15 people from the Balkan region to Chicago. Matija Bumbak, Head of Department for Development City of Šibenik, was one of the participants and I was his mentor. At some point he said, “Look what we have in Šibenik, look what’s going on in Croatia” and I was convinced. He asked me for ideas, for thoughts on how to approach the Šibenik’s entrepreneural development based on what I was already doing in Chicago. I submitted a proposal to him and so I got to Šibenik in September 2015. Except for a few trips to the States in between, I have been in Šibenik ever since. Q: So you still have a home in Chicago? No, between one of the trips I sold everything. I don’t have an apartment in Chicago anymore. I mean, why not? For me it’s been a really great experience and my family and my friends are really supportive. I really love the work here, to me it’s very exciting to be a part of such a meaningful change that’s been going on in Šibenik. People really want to transition and to push this region forward. Q: Antonio Barišić (Community Developer at City of Šibenik) could not say enough of good words for you, praising you for everything you have done for Šibenik and for the Šibenik’s Urban Incubator. And I just wonder, so this was the program you did before, so you were more involved in start ups? How did you connect your Chicago experiences with Šibenik? I worked in the facility Blue1647. Chicago has many incubator spaces, probably over a hundred. The one I worked for, was in a more maginalized neighbourhood. And, believe it or not, there are actually many similarities to Šibenik. When such an incubator gets launched, people finally get an opportunity to join the conversation and to share, express their ideas. Because that’s the thing about the technology. You’re trying to solve a problem, so when a group of people are being excluded, their problems aren’t being really solved. We didn’t need parking apps in Šibenik, because parking is not of a big concern in Šibenik. But there were other different concerns, so that’s what I did. Q: So what exactly did you work on? We started classes that still go on today, like Photoshop, Unity 3D, we have journalism classes, we’ve done mobile app development, we have WordPress, and so on. And a lot those I brought, well not specifically every class, but when I came we determined that the best way to really get things moving was to start the class for youth. And then after that we did, I did, some self-branding classes for adults and the idea of validation, and then we even ran a silver citizen class in which we had our oldest student who was 77 years old. And these things were really what kind of started getting the buzz. Q: Do you find a lot of good ideas? Well, there are good people with good ideas or sometimes bad ideas. And for me it’s not always how good are the ideas, because I am more into people. I am just really trying to help people realize their dreams. Ok, not everyone’s first idea is good, not everyone’s first five ideas are good. But if we go through the right process, when you get that thing, I think that luck is being prepared when the opportunity presents itself. That’s where I really am. I am just trying to help people realize how to do things, how to express themselves, how to be confident, how to break down some of the barriers. Q: How do you relate to people here? For me everything I’m doing for people here and for this community is just as important for my professional development; it perfectly aligns with me. I always wanted to help people, I’ve always done jobs to help people, even before I got into business and everything. And I always wanted to do this, so I can relate when people say like, “Yeah, but my Dad says this, or my Mum says this«, or »you should get a government job”. Those are all the things people were telling me because they just couldn’t see my vision. Q: Regarding the Šibenik’s Urban Incubator? How exactly does it work? Right now it is more of a co-working space. We have some pre-incubation and we have some start-ups I am working with, but I am kind off personally working in supporting them and helping them reach others and the region and stuff like that. Everyone just states different projects. What I mostly provide for them is the self-branding, how to pitch, how to present yourself, we do LinkedIn training. This program wanted to be more entrepreneural. This is the Boot Camp that allows them to have that experience. So a lot of what I am doing is sort of trying to really give them the tools to present themselves. If you have a skill and if you have a good skill set, how do you present that. We have that, but we also have other people working in there, we have a guy that does land surveying. The whole point is that no matter what you do and maybe you have a home office or maybe you don’t have your office yet, the city provides a really affordable office for you, and not only that, it is like building a community and saying, “Yes you have your work and I have my work, but we’re here and you have a space, and you have a really good internet, and you have people that you can ask questions”, and things like that. So that’s really what’s going on there right now and I think that once Trokut, the new location, opens up, then there will be more incubation going. The thing with the City of Šibenik and with Matija Bumbak is that anytime we talk with someone out of Šibenik, we are all saying, “How can we fit you, maybe you’ve got some people that are not quite ready for your program, but they could come to Šibenik and we could provide services”. So this is about how can we make this like a machine that no matter where you are, there is somebody that can meet your needs in this region. So whether you are a student about to graduate, whether you are someone who’s been out of work for a while and you’re trying to re-brand yourself, etc. Another thing that stands out in Šibenik is that it used to be an industrial town, and there were managers and people who were technically trained, and their skills could still be applied today; they have knowledge. So to actually work on a start-up team which is, for example, trying to build some hardware or something, it’s just a matter of getting people to realize that. A lot of times they don’t realize their own strenghts, but then you sit and talk to them and you see that they are way more qualified than we even need. That’s a big thing for me. The funny thing is they say “Well, yeah, you’re from the US”, but the same thing happened to me. Literally, the same thing happened to me. It’s not that simple in the States either. Q: You mentioned Trokut (Center of New Technologies and Entreprenuership). The beginning of the implementation of the project has just been launched. It is expected that it will open its door in two years. What do you think it’s gonna do for Šibenik, what will it add to City of Šibenik? It already is adding. Young people, international companies are already getting interested. There is the whole program of the Holiwork programe. It really is gonna attract larger organizations. To really give opportunity to the community, you have to have business, international business to come and create a need. I think that’s how it is really gonna benefit this community – when it starts to attract different folks that actually have a power to hire, that actually have a need. We’re here right now, but we need to think of how technology will change in a five year plan so that we can prepare people for that pipeline. I think that Trokut is going to provide that opportunity with space and with gathering the attention. Matija Bumbak’s team is so strong. Ivana, Krešo, Atonio, they work to be a part of this. It is something really special about the group of people who are really embracing the change and trying to make Šibenik better. I’m so excited that I can see it when it happens; it’s like a baby to me, and I am happy to be a part of it. Šibenik needs a videographer, this will be in the history books. Those fortresses sat there for 20 years, but now all of them are getting alive. 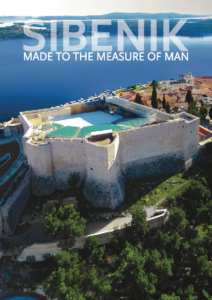 This is history, Šibenik is making history; they are humble and they are doing it for the community, but in the mid 2020s people will wanna know what happened to Šibenik, how it changed. Q: What about your personal experience of Šibenik? How did your transition go? How did you find yourself in this community? The transition was more about just moving to a new country, I had never before been to Europe. So that was a big transition. I guess it would be more the technical things I would have to get used to, just the difference in how things work here. Also, I am from Chicago that has 7000 restaurants and you can go to any type of restaurant, there are even two Croatian restaurants in Chicago, owned by Croatian people, for example. So those are the things that in some extent I am still adjusting to. As far as the people, I think that the really big thing is that Matija Bumbak and his team are so amazing that my transition was so smooth and they were so supportive. I see lots of similarites with people I’ve worked before and I feel for this reason that I fit here completely. I really don’t feel out of place. I think it’s been a great transition, I love it. Q: What about the wind? And winter? Do you miss the freezing Chicago winters? (chuckles) I like winter here. I’m, like, this is cool. Because Chicago is cold, like reeeeeally cold. I like the Dalmatian food, I became a real fan of the coffee, of course. I just love the people, I love the sea, I like being on the coast. But for me just the whole experience of it is just really amazing. And people say, “Oh, you should take time off, you work too much” and I say, “Everything I do, feels like a vacation”. And I love going to conferences to see places I’ve never seen before. I speak for half an hour and then I have the whole day just for me. Everything feels like a vacation for me. And also it used to happen a lot, and it still happens, that I wake up and go “Oh, wow, I am here”; you know, it’s exotic. And my friends say, “That’s so amazing, you’re there“. To me the whole experience is just unbelieavable. Q: Have you tried Pelegrini, the best Croatian restaurant? Q: And? You liked it? It’s amazing, it’s amazing. Amazing service! Probably, well no, certainly the best service I’ve had anywhere in Croatia or in this region. And I always point out that I like good service. We were a table of 8 and we all got our plates at exactly the same time. Literally, as I saw your plate coming, you saw my plate coming, so they bring their thing together, they set it up and they go all at once and put the plates down. So everyone can start eating at exact same time. The owner takes his team to other restaurants in off-season and lets them get served by top servers and things like that. I also like Tomasseo. I’ve probably have eaten there like 15 times, whenever I have friends visiting, that’s usually my first choice, I like their food. I love Dalmatian seafood. Q: What about Marenda, the local place serving local food by the old recipes, do you know it? Oh yeah! If I said earlier I was in Tomasseo 15 times, I probably went to Marenda like 50 times (laughs). Previous articleWhy Is Šibenik The New Star?